Cooper, who lives with Asperger Syndrome, had limited work history after being out of the workforce for 12 months. After applying for over 100 jobs with no luck, Cooper felt depressed and was lacking the motivation to keep going. “When I first became unemployed, I also had my first break-up after a long-term relationship. During this time, I was constantly told I didn’t have enough work experience and I didn’t have the freedom to go out with mates. This all got me really down. I always knew that once I got into a happy job, I would fall out of depression. I am a loyal person and I knew if given a go, I would be determined to do the right thing with any task given,” said Cooper. 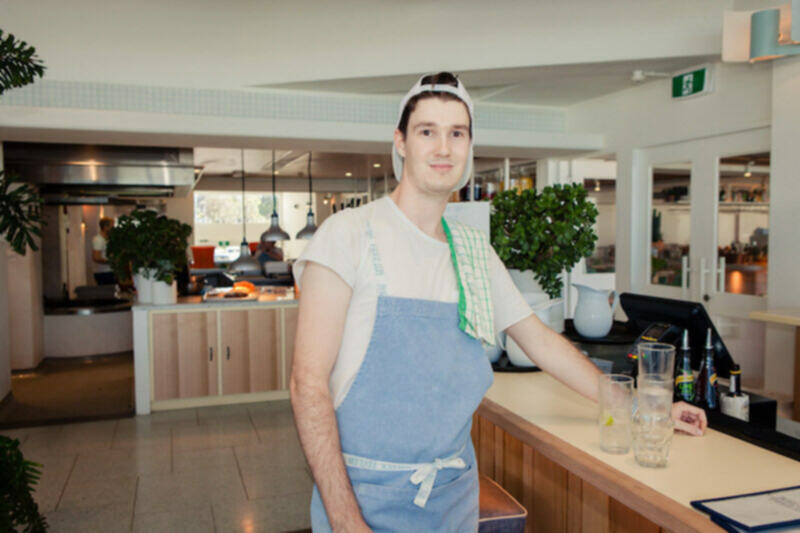 After connecting with WISE Employment Tweed Heads and Business Manager, Krystal, Cooper worked hard to rebuild his skills and started applying for jobs again. Krystal was able to support Cooper and offer advice for interview tips that would help him succeed in securing employment. “We worked hard to get Cooper ready for the workforce. In the end, we thought hospitality would be the best place for him given his great personality and passion to work with people, so we got him into an online course where he could get his RSA (Responsible Service of Alcohol) certificate. This meant weekly meetings where I could support him and help him study for his assignments,” explained Krystal. Cooper successfully gained his RSA certificate and three days later, secured a waitering position with Burleigh Pavilion with the support of Dean from WISE Employment. Cooper has now been working for three months and his manager describes him as determined, proactive and aware. “We love having Cooper on the team. He takes direction extremely well and always does a great job,” explains Cooper’s Manager, Amelia. Cooper loves his new role, enjoys working with friendly people and in addition to a great coastal view at work, he also has gained his financial freedom.